In addition to making badges, both Randy and I are programmers. 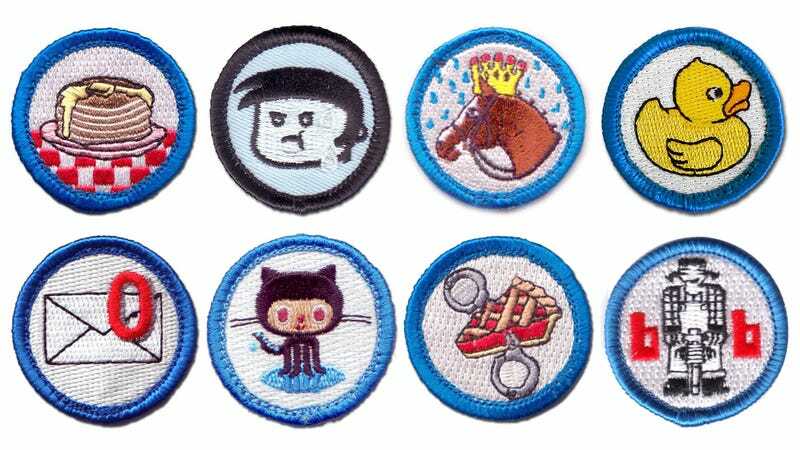 Relevant to this badge, we're both chubby programmers. We've tried a bunch of times to lose weight, but things always fizzled out after a couple of weeks, so we came up with a program that worked for us - take a long-term goal, break it down into one-week increments, and put actual money against reaching each goal. We call it "Lose It or Lose It".